The U.S. Bank Cash+™ Visa Signature® Card is a strong contender to make our regularly updated list of the best cash back credit cards for U.S. consumers. It has a generous cash back program that includes 5%, 2% (unlimited), and 1% (unlimited) tiers – one of the more favorable constructions around. You can designate two favored spending categories for the 5% tier and one for the 2% tier. The 1% tier covers all other eligible purchase spending. With no annual fee, the U.S. Bank Cash+ Visa Signature Card is great for any budget, provided you can align your spending to the favored categories you’ve selected. There’s no limit to how much you can earn in the aggregate – so, if you have big spending plans and need a new credit card, now’s the time to get started. Here’s what you need to know about U.S. Bank Cash+ Visa Signature Card’s features, advantages, disadvantages, and overall suitability. When you apply online and make at least $500 in eligible purchases during the first 90 days, you’ll earn a $150 new cardmember bonus. This card has a three-tiered cash back program. First, designate 2 cash back categories from a list that includes gym and fitness centers, restaurants, grocery stores, department stores, and more. Those categories earn 5% cash back on eligible purchases, up to $2,000 in combined spending per quarter ($8,000 max spending per year). Second, designate an additional cash back category to earn unlimited 2% cash back on eligible purchases. All other eligible purchases earn unlimited 1% cash back. There’s no limit to your aggregate point earnings. Unused cash rewards expire 36 months after the billing cycle during which they’re earned. Category options are subject to change quarterly, and you must register for your chosen categories on a quarterly basis. You can redeem your accumulated cash back for statement credits to your Cash+ account; direct bank account deposits to a U.S. Bank checking, savings, or money market account; or U.S. Bank Rewards Card (gift card). There’s no minimum redemption threshold for statement credits or bank account deposits. Reward card redemptions are subject to a $20 minimum and must be made in $5 increments. Complimentary Rental Car Insurance: You’re entitled to complimentary rental car coverage (loss and damage) for rentals paid in full with your Cash+ card. Retail Protection: This benefit provides reimbursement after certain adverse shopping events, subject to key limitations and restrictions. Read your account disclosures for more details. Concierge Service: This 24/7 benefit is ideal for travelers who need to make complicated restaurant, entertainment, or travel reservations in unfamiliar places, even where they don’t speak the language. 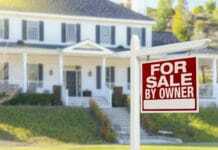 Other benefits may be available as well – check your credit card agreement and disclosures for specifics. U.S. Bank Cash+ has a 12-month, 0% APR introductory promotion for balance transfers. To qualify, balance transfers must be made within 60 days of account opening. After the end of the introductory period, regular interest rates apply on the transfers’ full remaining balance. There’s no corresponding introductory APR promotion for purchases. Following the end of the balance transfer promotion period, the balance transfer APR ranges from 16.24% to 25.74%, depending on your personal creditworthiness and prevailing interest rates. The purchase APR falls within the same range from the day you open your account. The cash advance APR is 26.24% from the day you open your account. As a U.S. Bank deposit account holder, you can link your Cash+ card to your qualifying deposit account to protect against overdraft transactions. This opt-in protection automatically executes deposit account transactions that would normally result in negative account balances or NSF denials. U.S. Bank then draws a corresponding cash advance on your credit card’s cash advance line to cover the shortfall. Most bank accounts charge daily fees for this service, typically $7.50 to $12.50. Some higher-end accounts waive these fees. Your cash advance begins accruing interest at the regular cash advance rate as soon as it’s executed, so it’s in your best interest to pay it off as soon as possible. There is no annual fee. Foreign transactions cost 2% for U.S. dollar-denominated transactions and 3% for transactions denominated in foreign currency. Balance transfers cost the greater of $5 or 3% of the transferred amount, even during the introductory period. Cash advances cost at least the greater of $5 or 3% of the advanced amount. Some types of cash advances, including overdraft protection transfers, cost more. No Annual Fee. The U.S. Bank Cash+ Visa Signature Card has no annual fee. If you don’t spend heavily enough to offset recurring levies, or simply (and understandably) want to maximize your return on spending, that’s music to your ears. Solid Sign-up Bonus. When you spend at least $500 in eligible net purchases within 3 months of opening your account, you get $150 bonus cash. That’s a solid rate of return and should be fairly easy to attain when you use this card for everyday spending in your favored category. Very Good Ongoing Cash Back Rate in Favored Categories. This card’s rate of return on spending is impressive. Earn up to 5% cash back on $2,000 in combined quarterly spending in your 2 top categories and unlimited 2% cash back in your next favorite category. If you choose your 2% category right, you can really rack up the returns there. 12-Month 0% APR Promotion on Balance Transfers. This card’s 12-month, 0% APR balance transfer promotion is great news for new cardholders who’ve previously struggled with high-interest credit card debt. No Minimum Redemption Amount for Select Redemption Options. You don’t have to worry about minimum redemption thresholds for statement credits or bank account deposits here – you can redeem in any amount, at any time. Visa Signature Benefits. U.S. Bank Cash+ comes with a nice lineup of Visa Signature benefits, including complimentary rental car insurance and concierge service. That’s a big advantage over Visa Platinum cards, which aren’t nearly as generous. If you take full advantage of your Visa Signature perks, you can save hundreds each year – particularly if you’re a frequent car renter. No Penalty APR. This card doesn’t charge penalty interest. This is good news for cardholders who sometimes miss statement due dates because of cash flow issues or unexpected expenses that they can’t pay off in a single month. Mediocre Cash Back Baseline. This card’s baseline cash back rate is a mere 1%. That’s better than nothing, but far from competitive with top-earning cards like Citi Double Cash Card (unlimited 2% back on all eligible purchases). No Purchase APR Promotion. The U.S. Bank Cash+ Card’s balance transfer promotion is nice, but there’s no comparable purchase promotion to shore it up. If you’re looking for a rewards credit card that cuts you a break on purchase interest for months or years after your sign-up date, look to Chase Freedom or Chase Freedom Unlimited (both 15 months at 0% APR). Quarterly Registration Required to Earn 2% and 5% Cash Back. If you want to realize this card’s full cash back potential, you’ll need to register your 2% and 5% cash back categories on a quarterly basis. This is a time-consuming procedural hurdle that most competing cash back cards eschew. 2% to 3% Foreign Transaction Fee. This card adds 2% to 3% to each foreign transaction. Dollar-denominated transactions are cheaper, but many comparable cards – such as Discover it – waive foreign transaction fees altogether. (To be fair, Discover products aren’t as widely accepted as Visa cards). Cash Back Points Expire After 36 Months. Unused cash back earned with this card expires in 36 months. That’s a substantial drawback relative to cash back cards whose unused cash back never expires, and a potential dealbreaker for occasional users. The U.S. Bank Cash+™ Visa Signature® Card is just one of several credit cards issued by U.S. Bank. If you prefer to earn flexible loyalty currency that you can redeem for gift cards, general merchandise, travel credits, and other items, you might prefer one of the bank’s FlexPerks cards. If your primary concern is securing a low introductory or ongoing APR, the no-frills U.S. Bank Visa Platinum Card may be a better fit. Whichever you choose, you can count on the same great service and value-added perks you’ve come to expect from U.S. Bank. 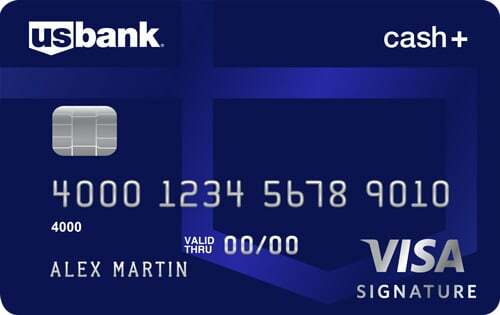 U.S. Bank Cash+ Visa Signature Card is an ideal everyday credit card for consumers who concentrate their spending in a few choice categories. It’s also a fine auxiliary credit card when spending is limited to cardholders’ chosen favored categories. Thanks to the year-long 0% APR balance transfer promotion, it’s also a strong choice for balance transfer candidates – ideally those who wish to earn ongoing rewards once they’ve addressed their high-interest debts. This card isn’t appropriate for frequent overseas travelers, nor those who wish to earn the same flat rate of return on all spending. The nontraditional sign-up bonus is problematic for light spenders as well. Key benefits include no annual fee, the solid sign-up bonus, very good ongoing cash back rate in the favored categories, the 0% APR balance transfer promotion, the lack of a minimum redemption threshold, the Visa Signature benefits, and no penalty interest. 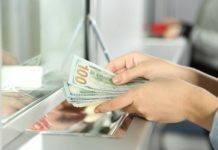 Downsides include mediocre cash back on most purchases, the lack of a purchase APR promotion, and the 2% to 3% foreign transaction fee, the quarterly cash back registration requirement, and the 36-month expiration period for unused cash back. Overall, this is a fine card for consumers who can maximize their spending in the favored categories of their choosing.